The Indian Air Force (IAF) was established on October 8, 1932, under an Act passed by the British Government that was ruling the roost in India. At that point in time, the IAF was established only on paper. However, the organisation acquired its first lot of combat aircraft on April 1, 1933, by way of four Westland Wapiti aircraft which was a British, twin seat, general purpose, military, single engine biplane built for the Royal Air Force (RAF) in the 1920s by Westland Aircraft Works. Over the years since then, the IAF has steadily grown and today, it is said to be the fourth largest Air Force in the world after those of the United States (US), China and Russia. In the bi-polar world that came into being after the Second World War, the IAF remained tethered to the then Soviet Union for military hardware which included combat aircraft. Beginning in the mid 1960s, the IAF began to receive combat aircraft from the Soviet Union through Government-to-Government (G-to-G) deals. The types of combat aircraft that were inducted in sizeable numbers, included the MiG-21, MiG-23, MiG-25, MiG-27 and the MiG-29 with variants wherever applicable. Of these, the MiG-21 and the MiG-27 were manufactured under licence in India by the Indian aerospace major Hindustan Aeronautics Limited (HAL). The last major contract with Russia through once again the G-to-G route, was the acquisition of a total of 272 Su-30 MKI, a fourth generation combat platform whose induction began in the beginning of the last decade and is still in progress with another 40 aircraft or so yet to be delivered by HAL, the Indian partner of Sukhoi responsible for manufacturing the aircraft in their facility in Nashik in India. Although this is the only fourth generation combat aircraft currently operational in the country, the IAF has turned down the offer by HAL to supply an additional batch of 40 Su-30 MKI aircraft after the the first 272 are delivered. Reluctance of the IAF to accept the offer by HAL is attributed to quality issues and is quite understandable. While the IAF received a variety of combat platforms first from the Soviet Union and later from Russia, the IAF also procured aircraft once again through the G-to-G route from the United Kingdom namely the Hawker Hunter, de Havilland Vampire and the Folland Gnat. The last two i.e. the de Havilland Vampire and the Folland Gnat were manufactured under licence in India by HAL albeit in limited numbers. The IAF received 18 Anglo-French Jaguar deep penetration strike aircraft on loan from the RAF in 1979. The was followed by regular induction of the Jaguar fleet in the period early to mid 1980s. Apart from the Soviet Union and Britain, the IAF has had a close relationship with Dassault Aviation of France since the early 1950s when it received the Ourgaon that was renamed as the Toofani by the IAF. This was followed by the induction of Mystere IVA in the late 1950s and then by the Mirage 2000 in the mid1980s. Amongst the foreign sources from where the IAF has acquired combat platforms so far, the United States has been conspicuous by its absence. However, things appear to be set to change in not too distant a future. The first truly indigenous effort in the domain of supersonic combat aircraft production undertaken by HAL, was the project to design, develop and manufacture what was dubbed as the Hindustan Fighter 24 (HF-24), Marut. The project under the guidance of Dr Kurt Tank, the famous designer of combat aircraft in Germany, was launched in 1956 and the aircraft entered service with the IAF in 1967, in just 11 years. Unfortunately, the aircraft was somewhat underpowered as efforts by HAL to procure a suitable power plant from foreign sources did not materalise. It was on account of this that the HF-24 Marut suffered notable limitations in performance. Although the HF-24 Marut took part in the Indo-Pak War of 1971, as its performance did not meet with the expectations of the IAF, it was retired from service soon after. The total strength of combat squadrons for the IAF authorised by the government till the 1990s was 39.5 which the IAF had reached with all the inductions by the end of the 1980s. With the aim of being adequately equipped to cope with a two-front war, the possibility of which was becoming menacingly real, the IAF had assessed a requirement of a total of 45 combat squadrons. Against this projection, the government has revised the authorised strength of fighter squadrons to 42 which the IAF hopes to build up to by 2027. With the older fleets of MiG-21, MiG-23 and MiG-25 phased out and despite the induction of about 230 Su-30 MKI aircraft so far, the strength of the combat fleet has in effect declined and today it stands at 31. The breakdown of the combat fleet with the IAF at present is as in the chart above-EXISTING STRENGTH. By the year 2025, the IAF will phase out nine squadrons which will include six squadrons of MiG-21 Bison and three squadrons of the MiG-27. This will reduce the strength of the combat fleet leaving the service with 22 squadrons, 20 squadrons short of the authorised level of 42. However, by 2025, The IAF will receive another three squadrons of Su-30 MKI and two squadrons of Rafale thus increasing the strength to 27 squadrons, still far short of the desired figure of 42 (ref chart Expected). This is provided the Rafale deal does not get cancelled as a result of the inelegant and unwarranted political controversy raging at present. Efforts by the IAF to induct 126, equal to six squadrons, of modern fourth-generation aircraft was initiated in the year 2000. From the six platforms competing for the tender, after elaborate and thorough evaluation, the French Rafale was identified as the prederred platform. Unfortunately, after 15 years of effort, for some insurmountable problems encountered in contract negotiations, the tender was cancelled. 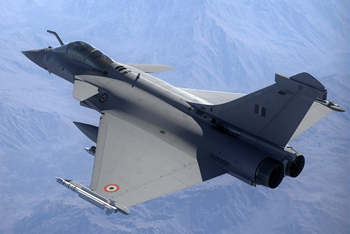 On a request from the IAF the government arranged to procure 36 Rafale jets in fly away condition directly from Dassault Aviation. 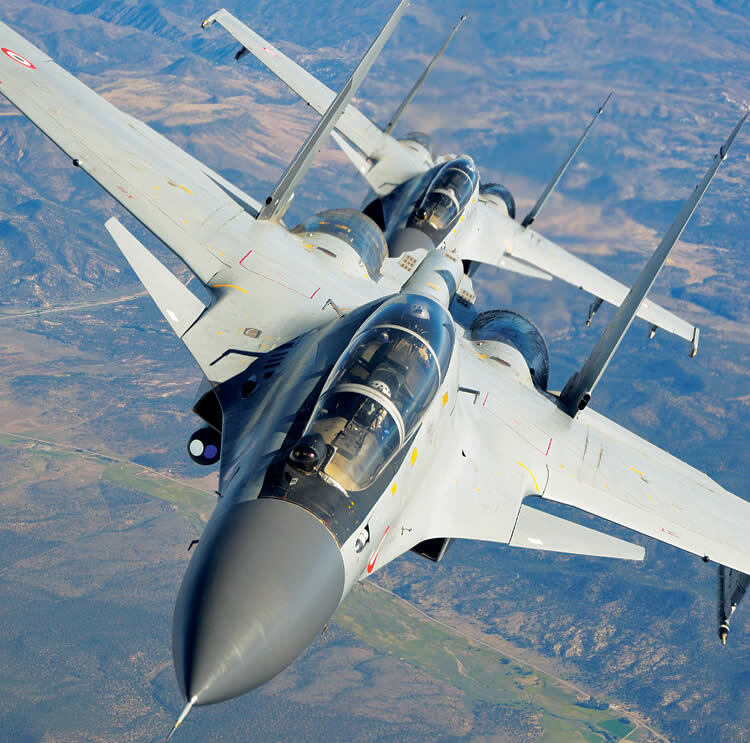 To make up for the shortages in the combat fleet, the Ministry of Defence (MoD) thereafter issued a Request for Information (RFI) for 114 medium multi-role combat aircraft (MMRCA) to which response was received in July last year from seven global aerospace majors. The list of vendors that have responded to the RFI includes the six companies that had participated in the tender for MMRCA floated in August 2007. The Request for Proposal (RFP) or the tender for the MMRCA 2.0 is expected to be issued in March this year if all goes well. Given the experience with the first MMRCA tender, as to how many years the second tender will take to fructify, cannot be predicted with any degree of certainty. To add to the travails of the combat fleet of the IAF is the sordid saga of the light combat aircraft (LCA) Tejas. As against a time frame of 11 years that HAL took in the 1950s to deliver the HF-24 Marut to the IAF, it has taken the same organisation 32 years to hand over the first LCA Tejas Mk I to the IAF in 2015 and that too without Final Operational Clearance (FOC). More than three years have passed since the handing over of the first LCA Tejas Mk I, but so far, No 45 squadron, the first squadron to be raised, has received only nine aircraft and FOC continues to remain uncertain. The IAF however, has placed orders for 40 LCA Tejas Mk I. Meanwhile, the IAF has also sought a large number of improvements in the LCA Tejas Mk I which HAL has plans to incorporate and produce the LCA Tejas Mk IA for which the IAF has intentions to induct 83 aircraft taking the total to 123. With all the enhancements and changes the IAF has sought in the platform, HAL has indicated a revised cost of the LCA Tejas Mk IA as 463 crore per aircraft which is higher than the cost of the Su-30 MKI also produced under licence by HAL. This has quite understandably raised eyebrows. Production of the LCA Tejas Mk IA will commence only after delivery of the first order of 40 LCA Tejas Mk I is completed. From the time the first aircraft was formally handed over to the IAF in 2015, so far only nine aircraft have been delivered to No 45 squadron based at Sulur near Coimbatore in Tamil Nadu. As the aircraft is yet to receive FOC, No 45 squadron with just nine aircraft is not deemed to be operational as yet. Although the stated capability of HAL to roll out the LCA Tejas is eight aircraft per month, the actual rate of production is yet to reach this figure. However, considering that HAL will be able to produce eight aircraft per year, by 2025, the IAF can hope to induct the initial order of 40 aircraft which would translate to two squadrons taking the field strength of the combat fleet to 29 squadrons, still 13 squadrons short. The MoD has indicated that the production capability of HAL in respect of LCA Tejas will be doubled from eight aircraft per year to 16. But this is more easily said than done as setting a second production line is not a simple issue as it involves creation of elaborate infrastructure, provision of tooling and most importantly, induction of manpower with the appropriate skill levels. Not banking on the LCA Tejas Mk I, the assured strength of the combat fleet in the IAF will be 27. The breakdown will be as in the table (EXPECTED NUMBERS) shown earlier in the article. In case HAL is able to deliver two squadrons of LCA Tejas Mk I by 2025, the strength will be go up to 29 and not more. However, the IAF will still be short of 13 squadrons from the authorised level. The aspirations of the IAF to seek clearance by the government to enhance the fleet strength to 45 squadrons will remain a dream more distant than the currently authorised level of 42 squadrons. The first lot of 20 LCA Tejas Mk I aircraft with Initial Operational Clearance (IOC), was to be delivered to the Indian Air Force (IAF) by December 2011. 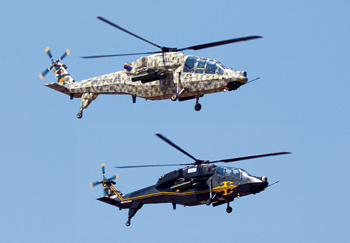 However, even seven years past the target date, only ten of the 20 aircraft with IOC have been delivered to the IAF. Hindustan Aeronautics Limited (HAL) promises to deliver the remaining six single-cockpit fighters by March 31, 2019. The second lot of 20 LCA Tejas Mk I fighter aircraft was ordered on December 23, 2010 in the Final Operational Clearance (FOC) version, after the Aeronautical Development Agency (ADA) promised FOC by December 2012. To date, over six years past this deadline, the FOC has still not been achieved. The FOC version was to incorporate mid-air refuelling capability. ADA took so long to develop the LCA Tejas that the IAF’s requirements changed and it changed the development goalposts. The LCA Tejas Mark 1A involves major design and structural changes to incorporate a number of enhancements that the IAF seeks. There is however, no clarity at this point in time on the FOC timelines for the Mark 1A variant. Pushed into supporting the “national effort” in the development of an indigenous fighter, a reluctant IAF ordered 40 LCA Tejas Mik I fighters, corresponding to two squadrons. The IAF’s cynicism rides on the extraordinary development and production delays in this programme, which was initiated 36 years ago. Facts presented by the Minister of State for Defence, Dr Subhash Bhamre, in Parliament on December 31, 2018 present a revealing glimpse into this programme. With the project nowhere near its completion, the IAF was nudged into ordering 20 LCA Tejas Mk I fighters, including four tandem-cockpit trainers, in IOC configuration on March 31, 2006. The first lot of 20 aircraft was to be delivered by December 2011. Seven years past deadline, only ten of the 20 LCA Tejas Mk I aircraft with IOC have been delivered. HAL promises to deliver the remaining six single cockpit fighters by March 31, 2019. Work on building the four twin-cockpit trainers will begin only after the Aeronautical Development Agency (ADA) is able to freeze the design. So, the trainers, even with IOC, are nowhere on the horizon. Honouring its commitment to the LCA, the IAF has raised No 45 Squadron to induct the LCA Tejas. The Squadron is based at IAF Station, Sulur near Coimbatore in Tamil Nadu in the South India, where the possibility of confronting a hostile adversary in the air is minimal. 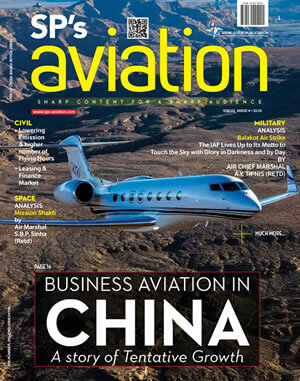 But it is still waiting in uncertainty about the delivery of the final number of aircraft. The LCA Tejas Mk I in its IOC configuration does not meet the operational requirements of the IAF. 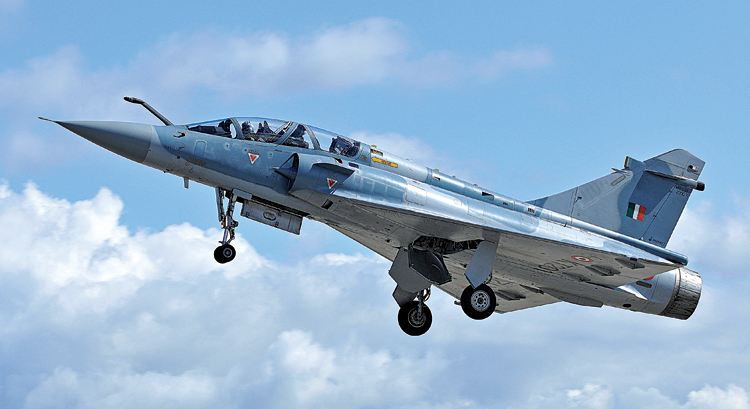 The second lot of 20 LCA Tejas fighters was ordered on December 23, 2010. ADA had promised to obtain FOC by December 2012; but even after six years past this deadline, the FOC has still not been achieved. The FOC version was to incorporate mid-air refuelling capability. 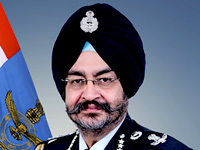 “Delays in attaining FOC have been mainly due to delay in finalisation of air-to-air refuelling contract; challenges faced in integration of air-toair refuelling probe and associated major hardware (structural modification) and software (flight control software) modification and flight testing, etc.,” Dr Bhamre told the Rajya Sabha in a written statement. Work on production of the aircraft with FOC can commence only after production of the earlier IOC version aircraft is completed and, more significantly, after FOC development requirements are met. It is not clear when ADA will complete the work related to the FOC version. 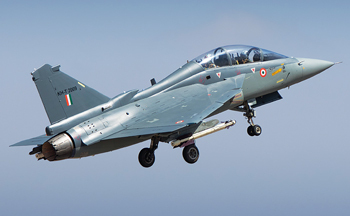 The Minister of Defence, Nirmala Sitharaman told the Lok Sabha on January 04, 2019 that the production capacity at HAL for the LCA Tejas is being increased from eight a year to 16. So far, of the 20 ordered almost 13 years ago, only 10 fighters have been delivered. While the initial two squadrons in the IOC and FOC configuration are meant to be more a demonstration of support to a national effort and of limited operational value as a vector and weapon, the real military requirement is stipulated in the subsequent variant, Mark 1A. ADA took so long to develop the Tejas that the IAF’s requirements changed and it changed he development goalposts. There is no clarity on the FOC timelines for the Mark 1A variant. The IAF has shown patience, but the record of development and delivery has not left much optimism in the Force. With sharply depleting squadron strength, it is hungry for fighters and compelled to turn to external sources for other more reliable options. The pessimism appears to pervade even the production agency, HAL, which is not really banking on the production of the LCA Tejas for its future orders. Facts bear out the pessimism in the IAF about the LCA Tejas fighter aircraft which many feel could end up only as a technology demonstrator.